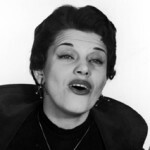 For those who grew up in the 1960s and 1970s, Kaye Ballard was a ubiquitous presence on television talk shows, game shows, and sitcoms – including “The Mothers-in-Law,” on which she co-starred with Eve Arden, and “The Doris Day Show,” on which she played Angie Pallucci, the co-owner of an Italian restaurant. But her career encompassed far more than just TV comedy. As a smooth-voiced chanteuse, she gave us the first recording of the standard “In Other Words,” better known as “Fly Me to the Moon.” And she made her mark in musical theater, with a standout performance in Rodgers and Hammerstein’s Cinderella and starring roles in The Golden Apple and Molly. Born in Cleveland, Ohio, in 1925, Ballard came from an Italian-American home and was originally named Catherine Gloria Balotta. She was bitten by the thespian bug as a child and began performing while in high school. For two years she was a member of the Spike Jones Orchestra, which offered sidesplitting renditions of familiar tunes, with Ballard providing vocals and performing on (what else?) the tuba. During the 1950s and 1960s, she entertained in numerous nightclubs. 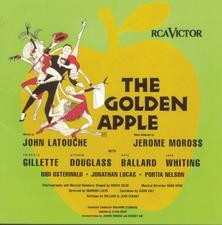 Her Broadway debut took place in 1954, when she starred as Helen in The Golden Apple, a Homeric musical comedy by John La Touche and Jerome Moross. 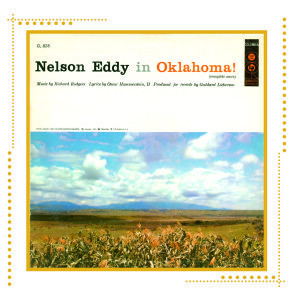 One of her big numbers from the musical was the now-standard tune “Lazy Afternoon,” included on the original cast recording. In 1957 Ballard starred opposite Julie Andrews in a televised production of Rodgers and Hammerstein’s Cinderella, playing the obnoxious, strident, snorting Portia to Andrews’s genteel Cinderella. In the Tony-winning Carnival!, the 1962 musical by Michael Stewart and Bob Merrill, Ballard had a starring role as The Incomparable Rosalie, playing alongside a young Jerry Orbach. Ballard was on Broadway again in 1963, assuming eight roles in the Thurber-inspired musical The Beast in Me, and a decade later returned as the title character in Molly, Jerry Livingston’s 1973 musical based on the popular radio and television sitcom character Molly Goldberg, the resilient materfamilias of a Jewish family in the Bronx. Other appearances in musical theater include roles in The Pirates of Penzance, Funny Girl, Gypsy, Over the Hills and Through the Woods, Follies, and Nunsense. Ballard’s numerous film credits include The Girl Most Likely, Freaky Friday, Which Way to the Front, and The Ritz. In 2006, she published her autobiography, How I Lost Ten Pounds in Fifty-three Years.